Not everybody likes cucumbers. You may be interested to learn that ants hate cucumbers, especially cucumber peels. You'll especially appreciate that fact if you want to get rid of them. Just spread some cucumber peels - the more bitter, the better - where ants enter your home and they should get the message. Consider cucumber the "anti-welcome" mat for ants. 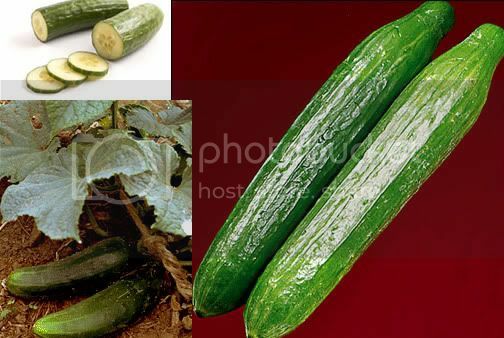 Cucumbers are one example of natural pest control. It's using natural and generally non-toxic ingredients to repel or get rid of pests including ants, wasps, mites, moths, flies and other insects. People are slicing up cucumbers instead of spraying insecticides because they don't want toxic chemicals in their homes or in their garden sheds. There is growing evidence that synthetic pesticides pose a health risk to humans and animals. For those willing to invest some time and effort at crafting their own remedies, we've gone on to list a variety of remedies to help you battle pests on the home front and in your garden. Barriers act like barbed wire to keep crawling pests, such as ants, out. These include garlic - grind it up with water and apply - cayenne pepper, cinnamon, powdered charcoal, bone meal, talcum powder or chalk. Keep in mind that different pests have different aversions, so you'll have to see what substance works best with the ones trying to sneak into your home. Another way to think of barriers is to grow certain plants around the periphery of your home. They not only look nice, but will also deter pests. Plants known to repel ants and aphids include: spearmint, peppermint and pennyroyal. You can use the same trick for fly control. Just substitute the above plants with mint and basil which repel flies, but smell good to humans. Boiling water is excellent for ant control or if you see where they are creeping into your house, squeeze some lemon into the hole or crack. Barriers also work for snails. 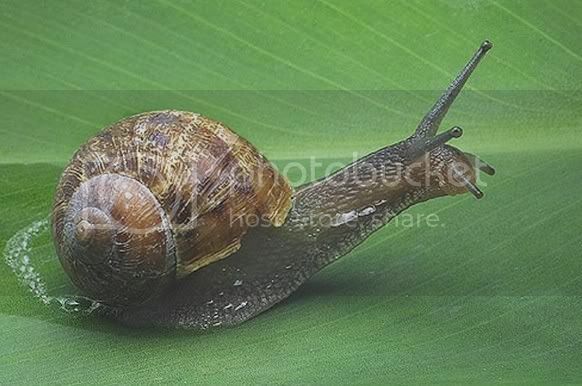 They dislike sand, lime, copper or ashes, so use these borders to keep snails away. Corn Gluten Meal may not sound very appetizing, but it's a natural, preemptive strike against weeds. Apply it early in the spring before weeds sprout. Corn gluten meal is a byproduct of the corn milling process and is a natural fertilizer. Diatomaceous earth is made up of the fossilized remains of diatoms, single-cell organisms. The glass-like nature of diatomaceous earth makes it one of the oldest forms of insecticide. The sharp surfaces cut through the insect cuticle and the insect dies of dehydration. Diatomaceous earth kills earwigs, ants and box elder bugs. Since it's non-discriminate when it kills, be sure to only apply it just to the ground surface where you think insects are overstaying their welcome. Washing up liquid can act as a natural insecticide. Dilute with water until it is a 1 or 2 percent solution and then spray on plants. Need neem oil? Neem oil - made from guess what? - neem seeds, prevents fungus growth, and repels and kills insects, including mites. While it fights many scourges, it's nontoxic to birds, mammals and most beneficial insects. One word of caution - it can sometime affect bees so use it as a spot treatment to minimize contact. Neem oil is usually sold in a concentrated form, to which you add water. Fruit flies are wine connoisseurs. Okay, maybe they are not wine snobs, but they have been known to quaff a few drops here or there. They particularly like Chardonnay or so we hear. Use that knowledge to your advantage: fill up a saucer of some cheap white wine and add a little detergent to it. Leave it around for the flies to sip and die on. This solution brings knew meaning to the expression "gut rot ." A natural fly catcher related to wine is to put something sickly sweet like mango peels in the bottom of narrow-necked wine bottles. The flies can fly in, but can't fly out. You can even make your own fly paper. Boil water, sugar and corn syrup together. Spread the extra-sticky mixture on brown paper grocery bags and voila you have your own fly paper which will trap flies. To get rid of slugs and snails, invert a flower pot near a shady plant. Use a stick to prop up the flower pot or place on irregular ground - whatever will give enough of an entrance way for slugs and snails. They will crawl under the rim to avoid the heat. Check the flower pot at the end of the day and remove the slugs and snails. Vinegar is a great herbicide. Fill a spray bottle with vinegar - white is best since it won't stain, you certainly don't want to use expensive, aged Balsamic vinegar on weeds - and spray the vinegar on your unwelcome flora on your porch, patio or back yard. It's one of the few things that will work against noxious weeds such as Canadian Thistle. All vinegars are diluted, so try and buy the highest concentration you can at the supermarket. Using organic lawn fertilizers will not only keep it green, it will make it healthy and more equipped to defend itself against weeds and pests. Organic fertilizers, such as bat guano, grass clippings, alfalfa meal, fish emulsion and worm castings, work well. While natural pest control products are a step up from most commercial insecticides, you should still be restrained about using them. Don't just leap at something that cures the symptom - look for the underlying or root cause and seek a solution for that problem. Overuse can end up creating new problems - getting rid of one pest in exchange for another. This article was written by Eric Vinje of Planet Natural. Get the most out of your garden with natural pest control available at Planet Natural. Any ideas on where to get corn gluten or corn gluten based lawn products?